Welcome to the Rose Blossoms Blog Hop! Today we are featuring the January Special - Live Your Day. The hop is a great big circle, so if you just follow the links, you will make it through all nine blogs. This collection was designed to coordinate perfectly with the Everyday Life™ 2016 planner pages (which are half-price right now!) and My Crush® Everyday Life pages, so you can seamlessly integrate pocket scrapbooking into your 2016 planner. Whether in the planner or on their own, these cards make it easy to preserve your everyday moments all year long. 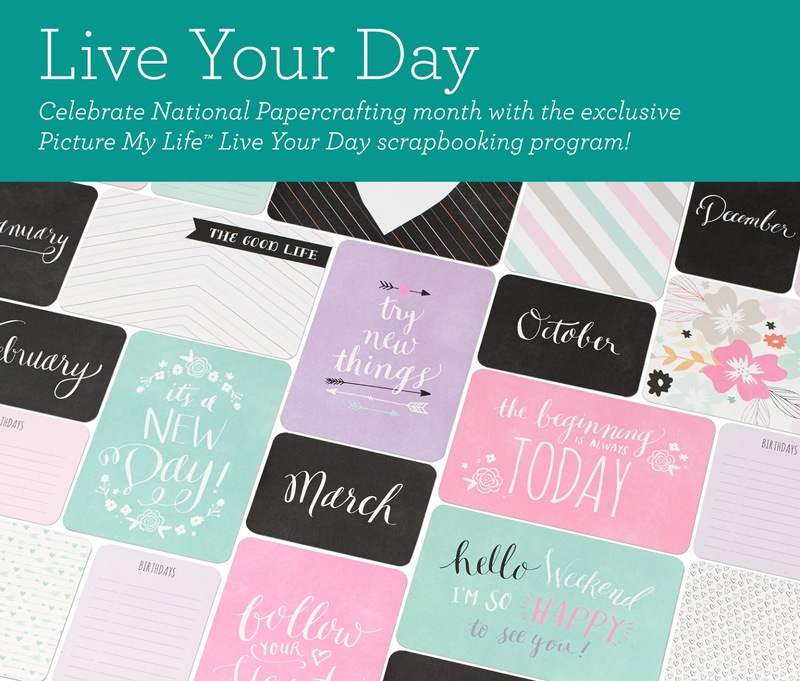 Included in the Live Your Day collection are (20) 4" × 6" Cards and (36) 3" × 4" Cards for the low price of $8.95. The same design is on both sides. One side features the design vertically and the other side features it horizontally. Now in case you don't want to use them in your planner, I have another suggestion for you! Why not create a perpetual (and pretty) birthday reminder book using the My Creations Black Mini Book? I layered a couple of cards on the front and then wrapped some twine and ribbon around it. My goal was not to make this too bulky so that it can sit on a shelf. Now the Mini Book has 10 page protectors. It starts with a protector that has (2) 4" x 3" pockets. The next protector is 4" x 6", and then it continues to alternate. I chose to use the decorative cards with quotes to put in the 4" x 6" pockets. Now if you got to thinking that aren't enough 4" x 3" pockets for all 12 months, you are right! So let me show you what I did with with November and December using 4" x 3" flip flaps. I adhered two flip flaps side by side on the inside back cover, and I put the month cards in the front and the birthday list cards behind them. To somewhat hide the adhered flaps, I put another one of the cut quote cards that says, "Don't quit your day dream." This is a great gift, and it can be made quickly for under $20. Now it's time to hop on over to Lynn's blog to see what she has created for you! the idea of a Birthday Book!!!! This is just darling and what a great way to remember birthdays. Was thinking exactly about the page protectors and not being enough. The Flip Flaps are perfect. Love it Brenda! What a fabulous idea and useful way to use the Black Mini Book! So lovely! I need to make one!